Plainfield has embarked on a Downtown Redevelopment effort. Central to the effort has been a year-long planning process that has embraced public comment and input from professionals with experience in real estate, finance, urban redevelopment, and architecture. 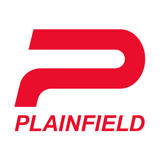 Below are documents to help explain the process the Town of Plainfield took, familiarize readers with the conceptual plan, and answer frequently asked questions. If after reviewing these documents you have additional questions, please use either the form "I have a question/concern" or call Communications Director Stephanie Singh at 317-754-5188.